The website 9to5Mac has discovered Apple's intentions to open a store in eBay platform. 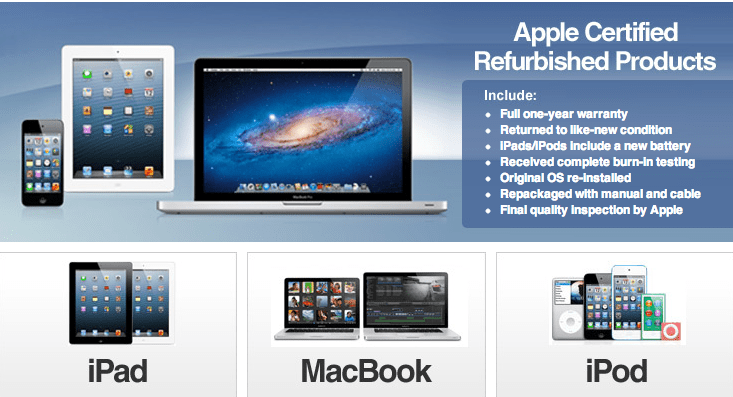 By accessing the section ' Apple Certified Refurbished Products ', we find second-hand products that have been repaired by the company Apple. In this shop, will sell iPads, iPods and Macs second hand, but with direct Apple warranty. Thus, Apple further expands its market, reaching more customers. At present paragraph is not official, seems to be in evidence and the company is expected to confirm him in the coming hours. These products include a one year warranty, are packaged as new and even iPods and iPads come with new batteries exposed. Surely we can find the odd bargain in the near future in this store. Article Apple plans to open an eBay store was originally published in News iPhone .